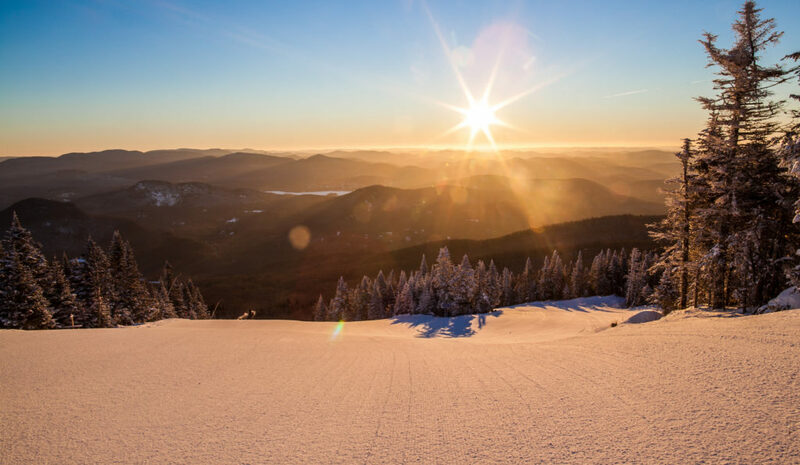 Being a ski patroller is one of the most satisfying jobs on the mountain. 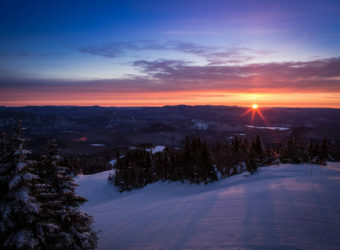 Not only is it hugely rewarding when you help save a life but you also get to see some of the most amazing sunrises and sunsets while opening and closing the mountain. 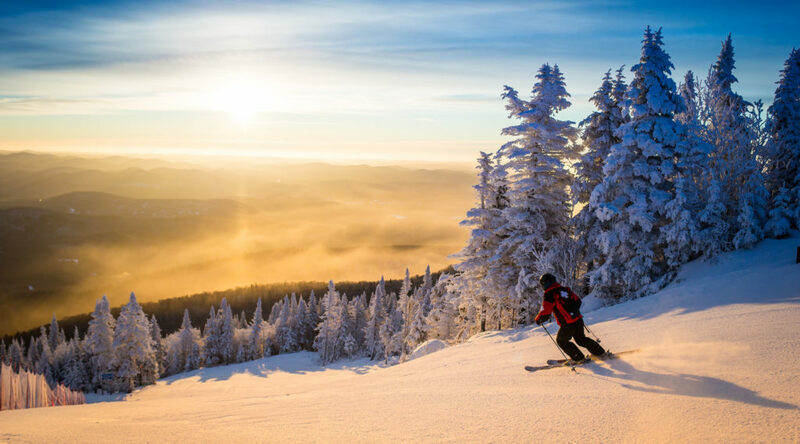 Mont Tremblant is one of the most beautiful national parks – a vast terrain of rolling hills covered in snow! 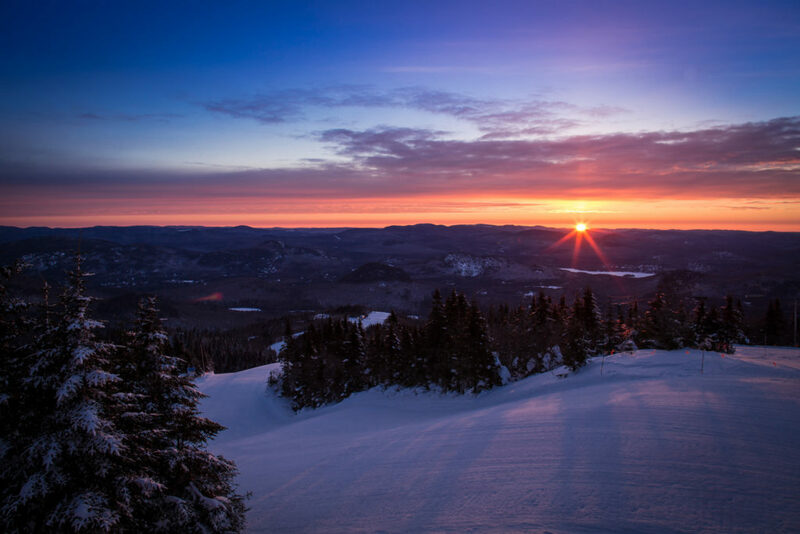 After many years of sweeping the mountain, Maurice (Head Patroller for Tremblant) is still not bored of what he describes as ‘the most amazing landscapes imaginable’. 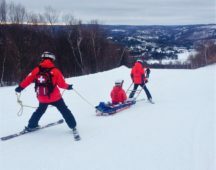 As a privilege to Ski le Gap students, the gappers can witness these sights for themselves while helping the Ski Patrol squad. 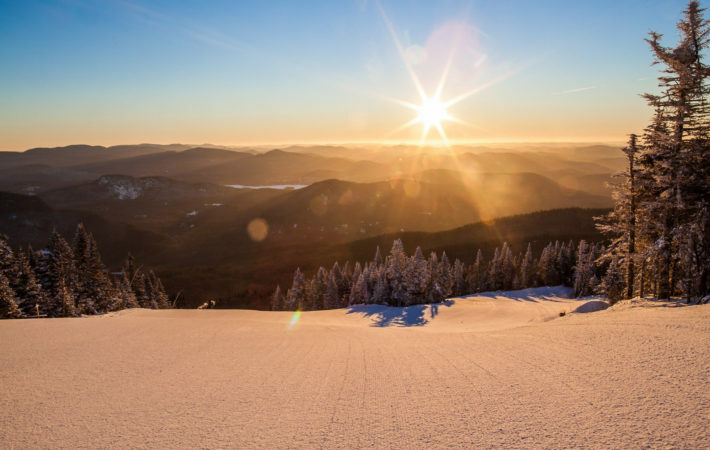 You only get photos like this if you are first on the mountain! 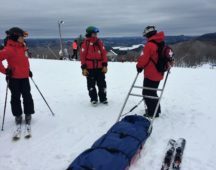 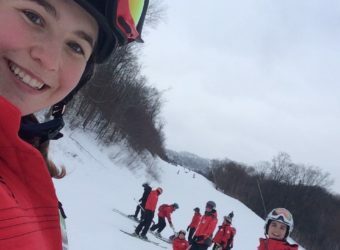 On top of this, our students do a Mountain First Response course to learn some of the skills and practical experience necessary to respond to an emergency situation on the slopes. 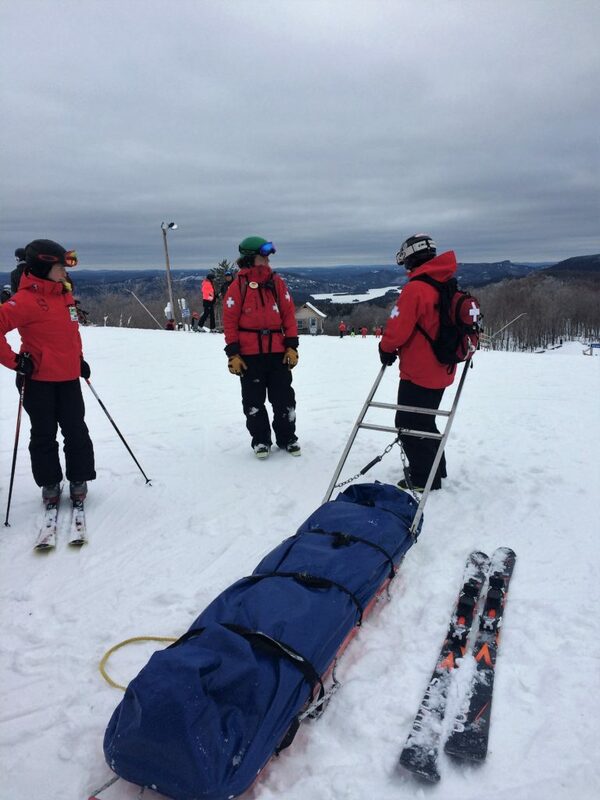 The course focuses on mountain safety, how to prevent the risks inherent to alpine sports and what to do in an accident/rescue situation. 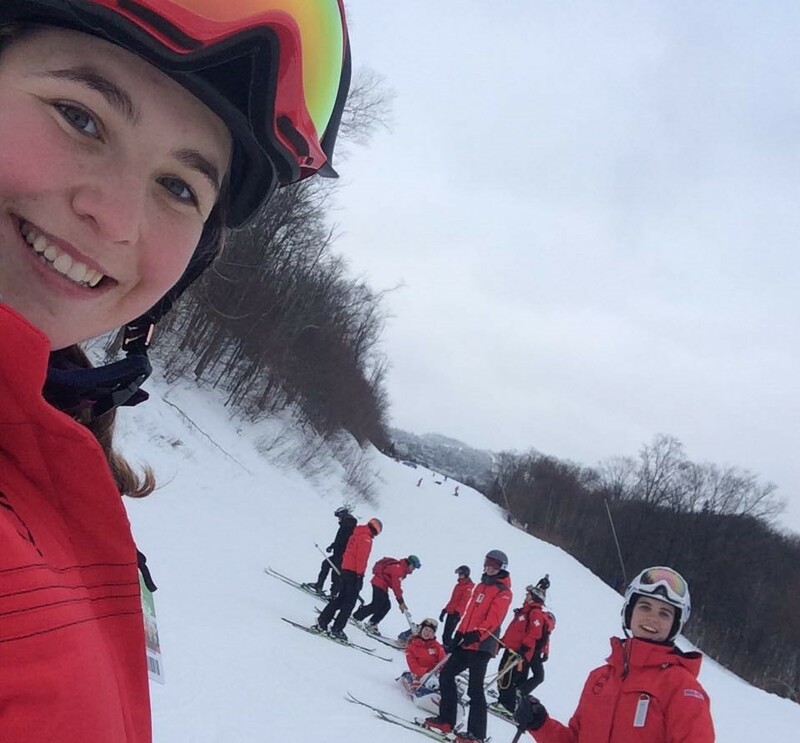 After a morning in the classroom, the gappers move onto the slopes to put their newly learnt theory into practice, becoming a pisteur for the day. 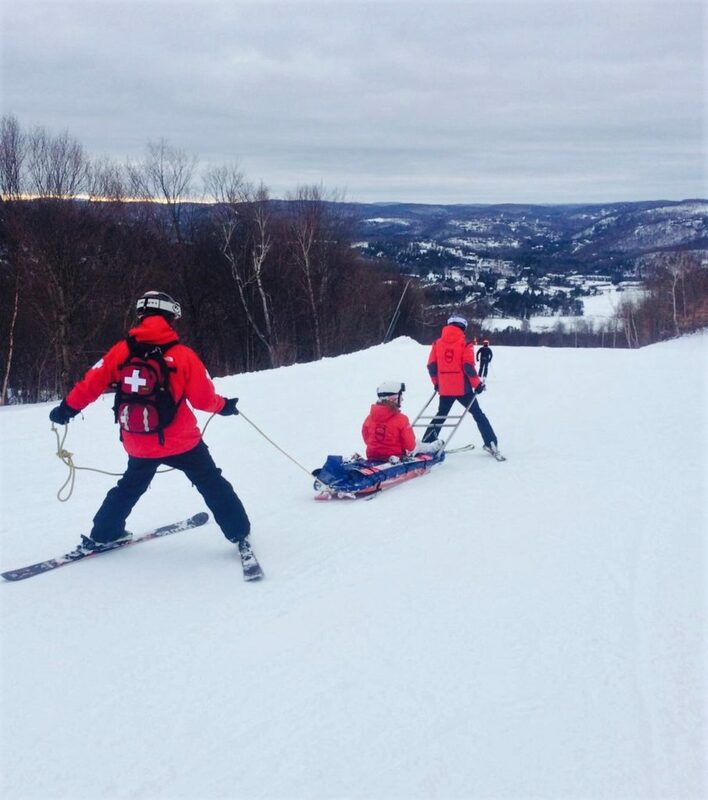 A simulated accident gives them the opportunity to strap their friends into the toboggan (Canadian term for blood wagon) and get them safely off the mountain. 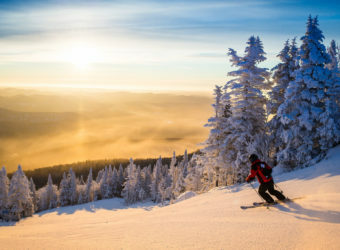 Driving a toboggan is easier said than done – as is getting it onto a chair lift! 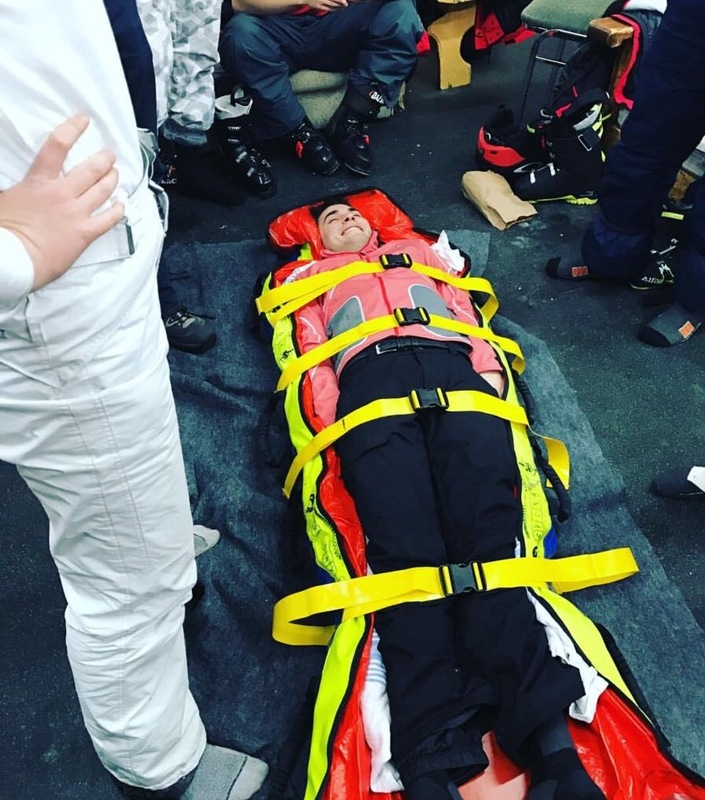 All gappers completed the course and now have an understanding of how to provide first aid at the scene of an accident in the absence of professional medical help. 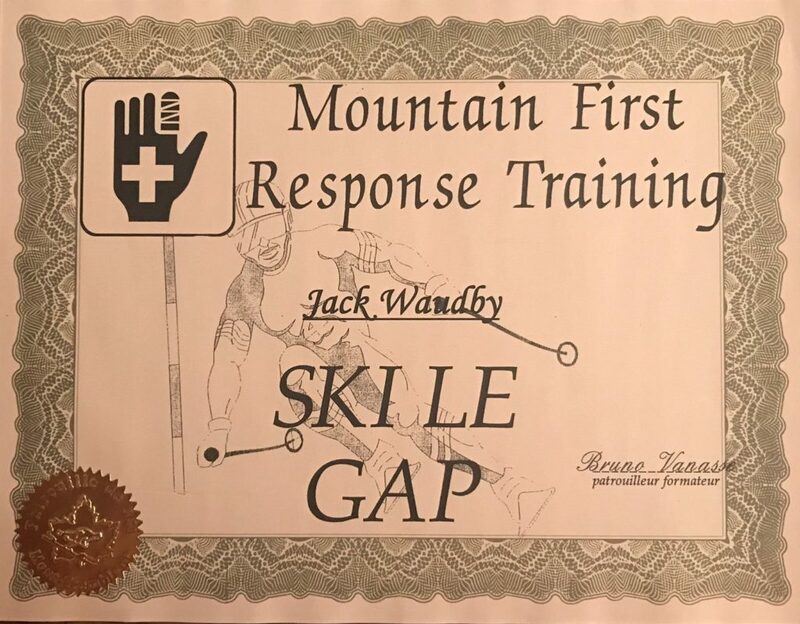 They can confidently be mountain ‘Good Samaritans’ and have another certificate to add to their name with the completion of the day course in mountain first aid – a great addition to their general knowledge and CV! 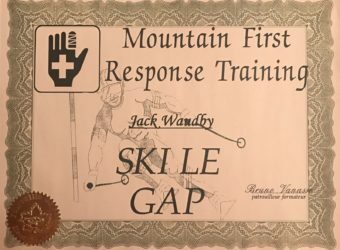 This course includes a certificate - a good addition to your CV! 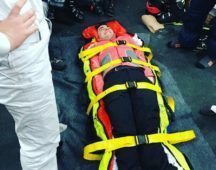 Our Mountain First Response (first aid on the mountain) course is included on our Intensive Training and Ultimate Experience courses.